Among the many ways to burn through money while traveling is the exorbitant cost of airport parking. But thanks to a new startup, you just might be able to dodge that annoying expense — and even earn a little extra cash to put towards a hotel upgrade or a few extra cocktails in the airport lounge. Often described as Airbnb for airport rentals, FlightCar allows willing travelers to list their vehicle for rental when they go away on a trip. 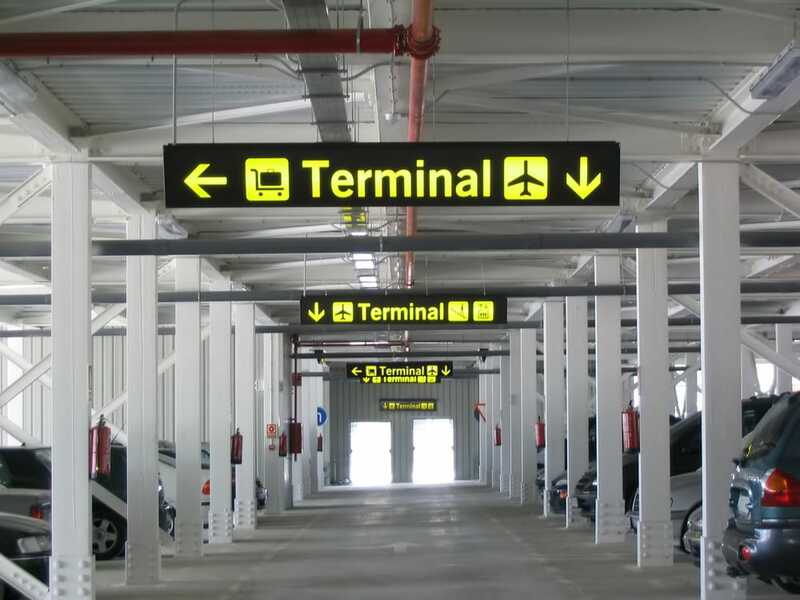 Owners simply drop the car at a FlightCar location near the airport and are shuttled to their terminal by a towncar. When they return, another car picks them up and returns them to their washed and cleaned car. Car owners get compensated between 5 and 20 cents a mile depending on the make and model of the car (on average that adds up to $100-$125 for a five-day rental) or, if no one opts to rent the car, free parking and a car wash, as well as valet car service to and from the airport. Should you opt to rent with FlightCar once you arrive at your destination (hopefully after using this hack to get into airport lounges for free), you also receive a discount. What happens if the driver damages your car? The vehicle is covered by $1 million of insurance should any mishaps occur. The company also checks renters’ driving records to make sure nothing terrible has occurred in the last three years, which offers some peace of mind that you won’t have a total wacko behind the wheel. On their side of the deal, renters get a slightly less pristine car than they would with a traditional rental company, but pay something like 40-50 percent less. That’s considerable savings, which means this service might not only be a way for you to make money, but potentially a way to save money, too. This service is the latest addition to the much-buzzed-about sharing economy, and it eliminates a huge inefficiency in the current system that sees thousands of cars sitting idle in airport parking while rental companies pack their own lots with thousands more. But as ever, there are several limitations, catches and concerns to consider when pondering whether to utilize such an innovative, new company. Your car can’t be a total beater. To be listed on FlightCar, it needs to have been made after 1999, have fewer than 150,000 miles, and be in good working order. Plus, you can’t be too put off by the whole weirdness factor of turning over what for some people is a prized possession to a driver you’ve never even met before. Yelp reviews for FlightCar have been mostly positive, but at least one reporter who tested the service wasn’t totally satisfied with the company’s repairs of damage his car sustained. Those thinking of renting from FlightCar should also be aware that credit cards that offer insurance on rentals may not always pay out if the car needs repairing. If none of these caveats bothers you, act fast, as FlightCar is facing some pretty significant legal challenges by entrenched industry players. San Francisco has filed suit against the company, which it wants to pay additional fees and taxes for using the airport like a traditional rental company. FlightCar has raised a total of $6.2 million from big-name investor, and it will certainly need all those resources, if not more, to fight these challenges. Your Turn: Would you allow others to drive your car while you travel, rather than leaving it idle in an airport parking lot? Let us know in the comments!